Going to spa doesn’t guarantee you rosy and radiant skin. In fact, it can make your skin worse, if they don’t use quality products or the beautician is not very skilled. But you don’t have to look outside for help; your kitchen has all the essentials to give you that beautiful glow. Also, if you nourish your face with organic stuff, your skin will remain pretty for many many years. I got this tip when I was in college. One of the MTV’s VJ gave this tip. I was a big admirer of her. So I tried it almost immediately. And to my surprise it worked great. Just with 3-4 uses my face was soft, clear and shining. Since then it has become my favourite face mask. As the saying goes ‘The best things in life are free’. You don’t need to spend thousands to make your skin clear and flawless – just one common ingredient – tomato. I bet every kitchen has it. The acidity in tomato helps to get rid of dull, rough skin and promotes cellular renewal. As a natural astringent, tomato keeps the skin firm and helps diminish fine lines. 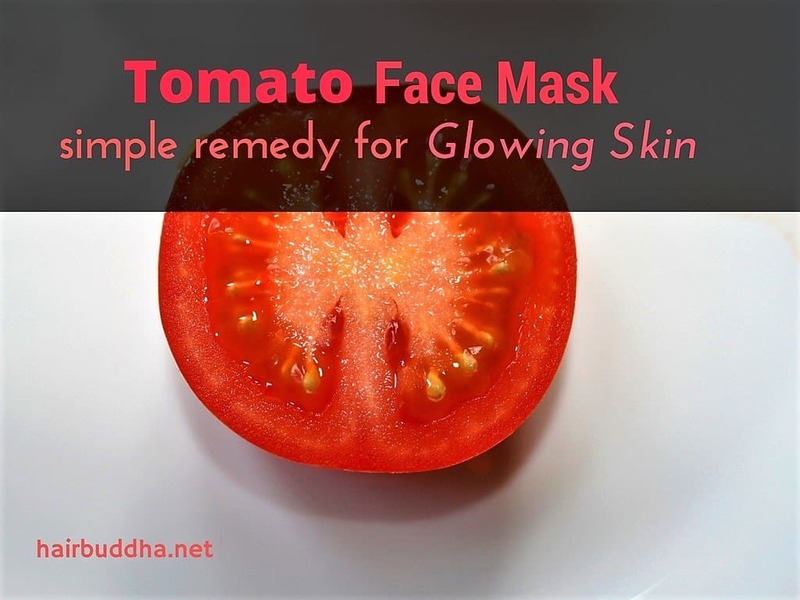 Tomato also helps to shrink large pores and brightens up your complexion. Tomatoes contain salicylic acid – a common ingredient in acne products. It cleanses and exfoliates to remove dead skin cells that can clog pores and cause acne, whiteheads or blackheads. Tomatoes contain a powerful anti-oxidant ‘lycopene’ which protects against the free radicals – they are responsible for wrinkles and age spots. 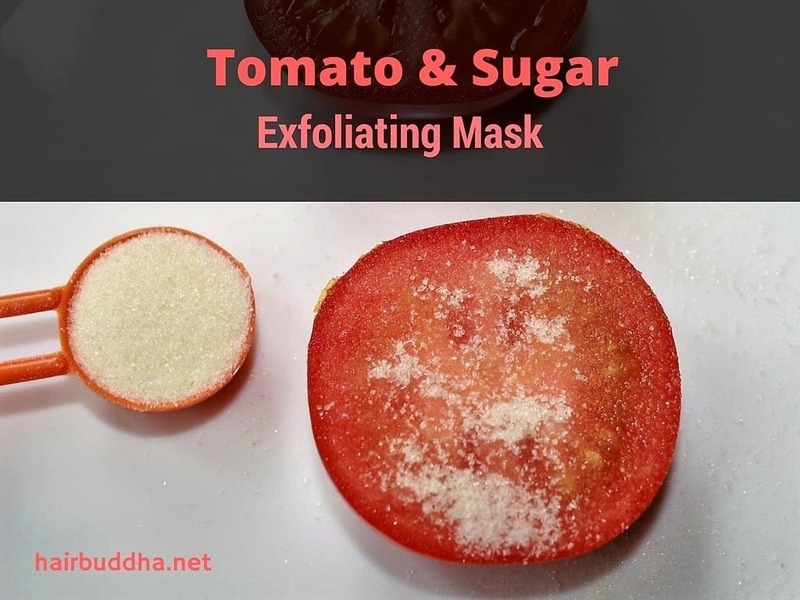 By getting rid of dirt and other impurities, a regular use of tomato will leave your face polished with a wonderful glow. This ordinary fruit from nature will not disappoint you. You can use tomato on its own or combine it with other common ingredients, depending on your skin type. With slow circular motions, gently rub the tomato onto your cheeks, chin, forehead, nose area and also don’t forget your neck. Leave it on for 10-15 minutes then rinse with warm water. Follow with a moisturizer. You can also use a few drop of almond oil or argan oil to moisturise your face. To restore and maintain beautiful skin, repeat this treatment twice a week. Sugar is rich in alpha hydroxy acids (or AHAs) which have a renewing effect on the skin. Together with tomato, it helps to exfoliate the outer dead layer of the skin, revealing the inner smoother layer. With regular use, you will see a reduction in blackheads/whiteheads. Also, it will brighten your skin and restore a smooth complexion. Evenly coat the tomato with sugar. Using slow circular motion, gently exfoliate your face – your cheeks, chin, forehead, nose and neck. Leave it on for 10-15 minutes, then rinse with warm water. Use once a week. Cucumbers are pretty amazing for skin. They are a good source of silica which helps to firm up sagging skin as well improve complexion. Cucumbers also do a great job of soothing skin irritations, reducing puffiness and balancing our skin’s pH. Blend the tomato and cucumber till you get a smooth puree. You can also use a grater to make the pulp (see above picture). Apply little by little and gently massage your face in circular motion. And don’t forget to apply on your neck. Let it soak in for 15-20 minutes, then rinse off. This mask is ideal for those with acne, oily skin, combination skin and also if your face needs freshening up. You can use any clay you like, I prefer fullers earth or bentonite clay. The good thing about clay is that it helps to lift impurities from deepest layers of your skin, leaving it soft, clear and rejuvenated. First make a tomato puree. You can either grate the tomato using a grater, or blend it in a blender. Next, combine the fullers earth with tomato puree to make a smooth paste. Add more tomato pulp if needed. Apply evenly on your face and neck and let it sit for 15 minutes. Wash it off with water. Almonds are deeply nourishing and restorative for our skin. They are rich in vitamin E and fatty acids, which easily absorb into our skin and improve the complexion and skin elasticity. 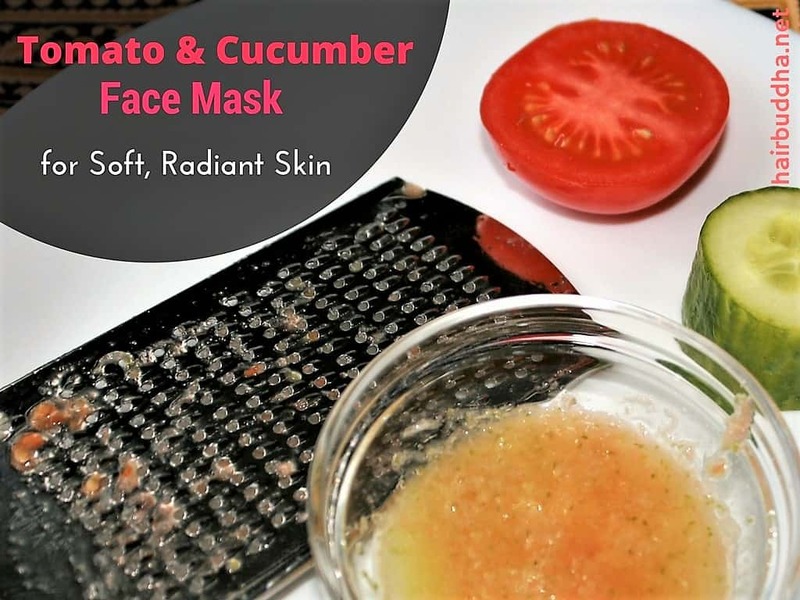 Tomato, almond and cucumber mask is excellent for all skin types. It is especially useful if your skin is sensitive, dry and mature. This mask will help fade fine lines, plump up your skin, and give you an instant glow. It will also restore moisture levels of your skin and reduce any pigmentation. When you apply any of the face masks, don’t forget to apply it on your neck as well. To make tomato pulp, first cut the tomato in half. Then grate the tomato using a grater or you can also blend it in a blender. You can make cucumber pulp in the same way. After you wash out the mask, pat dry your face and apply a moisturizer. You can use a few drop of almond oil or argan oil to moisturise your face. You will see a difference in your skin with just one use. The naturally beautiful your skin is, the less makeup you need to wear, because your skin will glow… naturally! How do you pamper your face? Which is your favorite face mask? Thanks for everything, pleads he do we make almond oil at home? When I make the tomato or cucumber pulp should I peel them first or just grate them with skin on? Grate them with skin on. Hi Shaifali, use no. 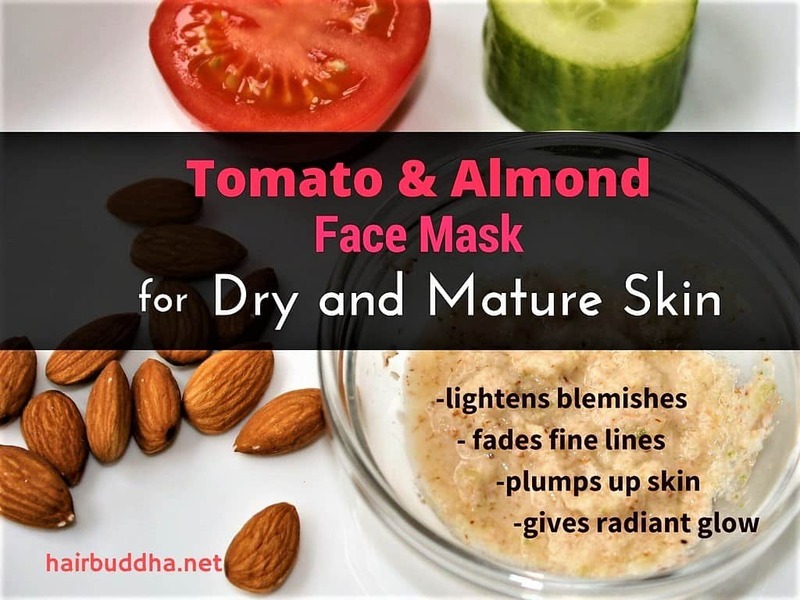 5 mask with almond and cucumber. I am a detailed article on greying. If you search or see the menu you will find it. The foods that help keep the grey hair away are: amla, wheatgrass, black sesame seeds, almonds, fruits and vegetables. Also practicing meditation/pranayam really helps. Can we make almond flour at home? Hi Sarika. Yes of course you can make it at home. 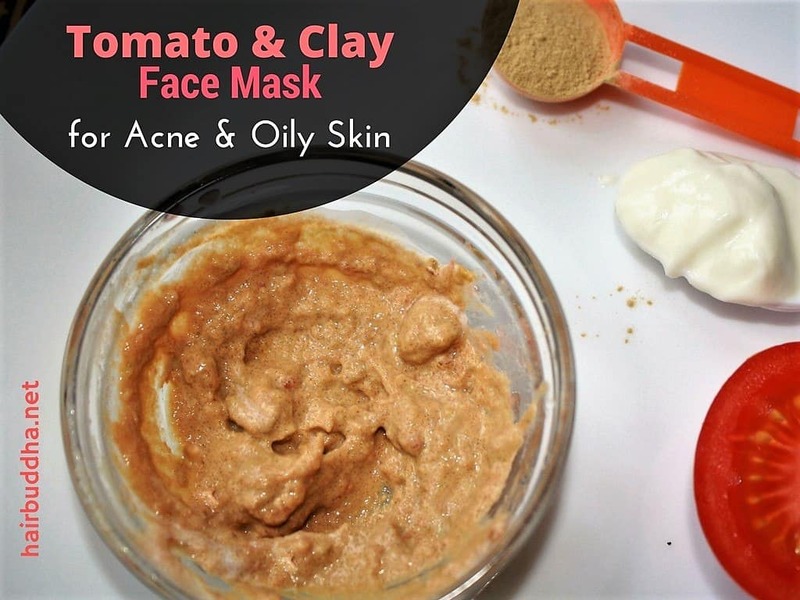 Thanks for sharing various mask options, I have used tomato long back but just rubbed raw tomato on my face and it felt good. Can’t wait to try these.